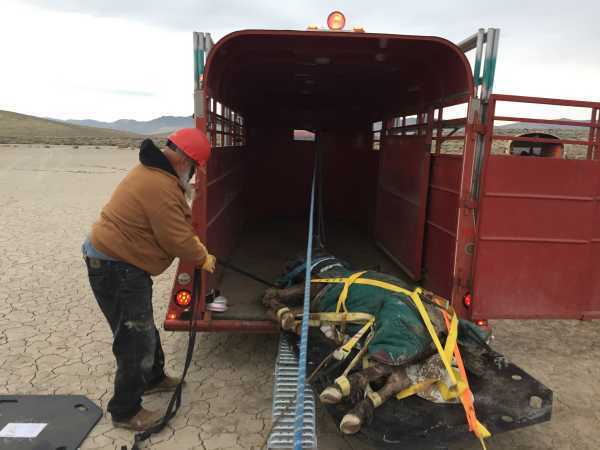 Devices such as Rescue Glides are critical for recovering and transporting downed horses or horses that have been injured or trapped, require anesthesia, and need to be safely moved. 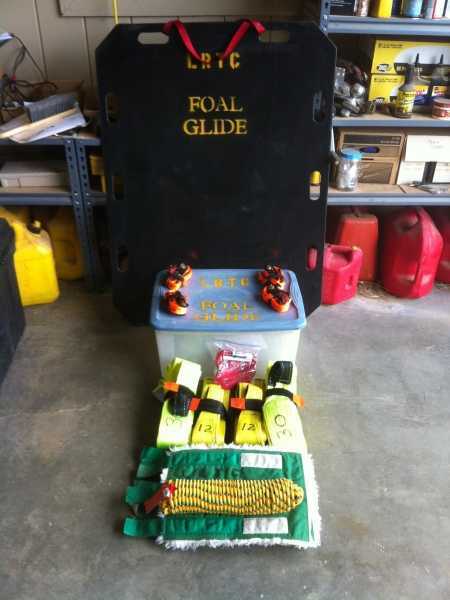 The team also carries a Foal Glide for foals and small animal rescues. The Rescue Glide and Slip Sheets are held on the center board on Rescue-1. 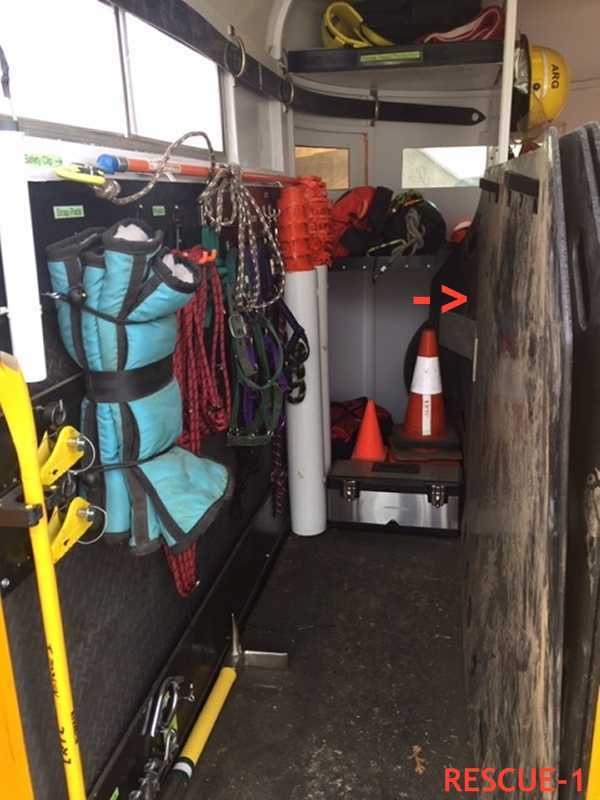 The Rescue Glide and Slip Sheets are held in the overhead rack on Rescue-3. 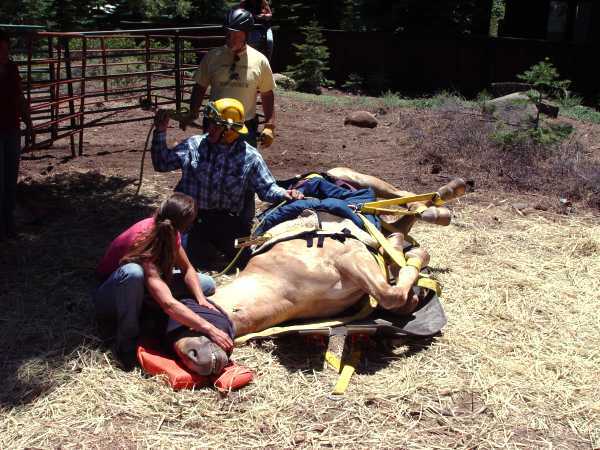 The Rescue Glide and related equipment are part of an ever growing compliment of equipment that is available for a wide variety of horse and large animal emergencies. 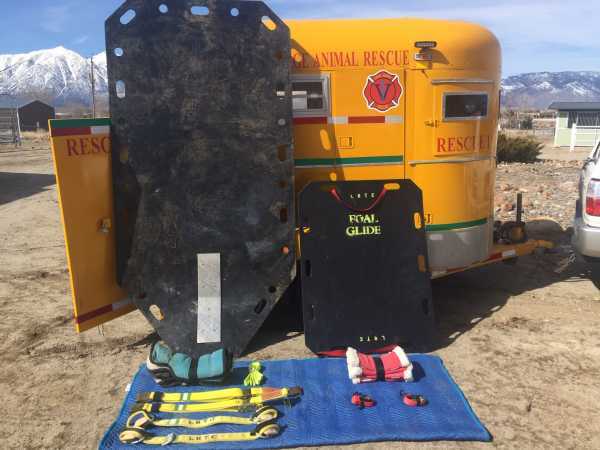 The Rescue Glide and its associated accessories are manufactured by Care for Disabled Animals (CDA) in California. 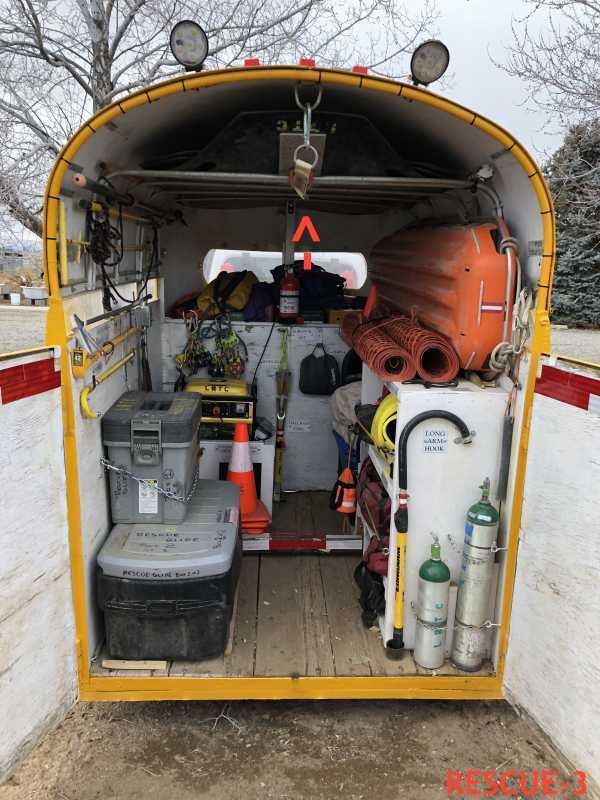 Knowing how this equipment is used is critical to operational safety. 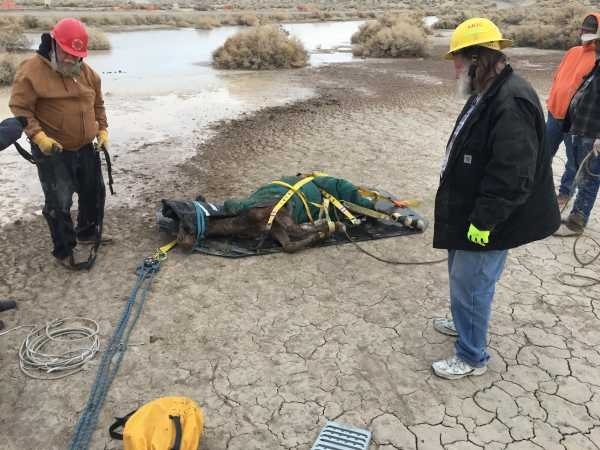 Here is more information on how the Rescue Glide and associated slip sheets used. 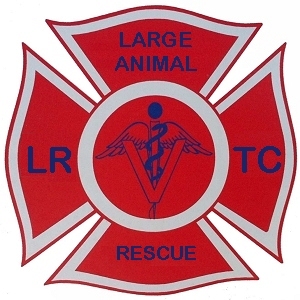 The training information presented in these information sheets and guides is offered for illustrative and volunteer refresher purposes only. 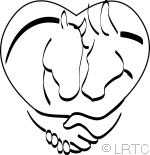 It is not a substitute for actual hands-on training.